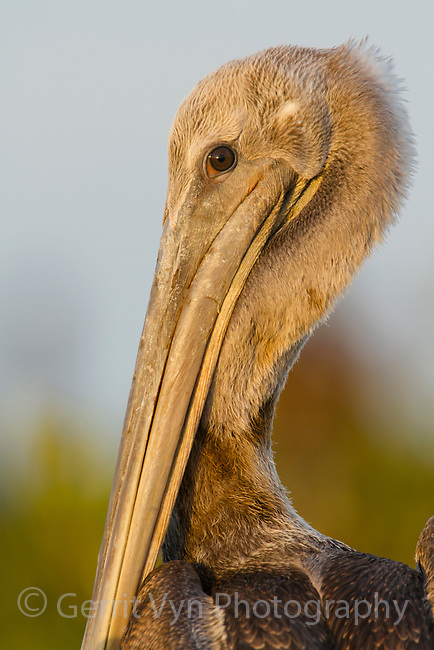 Head portrait of a lightly oiled juvenile Brown Pelican (Pelecanus occidentalis). Raccoon Island, Terrebonne Parish, Louisiana. July 2010.